Are you or anyone you know suffering from plantar fasciitis? This can be a debilitating disorder that can often lead to people not being able to perform properly at work or in the comfort of their own homes. Plantar fasciitis is most commonly caused by standing on hard surfaces without proper foot support for extended periods of time. This leads the tissue within the bottom of the foot to become increasingly agitated, leading to sharp pain within the heel that can often present as a throbbing sensation while laying down. Here at Health Quest, there is a multitude of options for the proper treatment of this disorder. But first, we will be looking into the anatomy of the foot along with how the arch of the foot can be negatively affected with improper support. 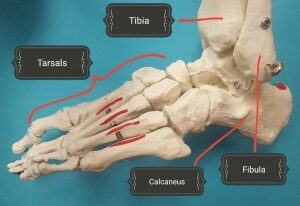 As you can see, the arch of the foot is comprised of several bones, called the tarsals. The arch is broken down into a three-point system of pressure. With the pressure of the body being applied to the pads just behind the big toe and pinky toe, along with the heel of the foot. If pressure is applied to the heel unequally, a spike of bone can develop off of the calcaneus that is often referred to as a heel spur. Heel spurs can often lead to a sharp pinpoint pain at the heel with standing/walking. The plantar fascia is the dense tissue that runs along the bottom of the foot. If the arch of the foot is compromised, the fascia becomes inflamed/swells, thus causing pain. The chiropractic adjustment restores the proper motion and support to the tarsal bones of the foot. It also ensures that the spine and pelvis are aligned properly, allowing for the proper distribution of weight across the sole of the feet. Proper motion to a joint ensures that blood flow can reach the capsule of the joint and allow it to heal properly. It also gives the surrounding muscles relief, thus decreasing pain levels. See the pictures below for examples of what the chiropractic adjustment looks like while being performed to the foot. It is important to note that the procedure is painless for the patient and relief is often sudden. There is more to getting relief than this though! After being properly aligned, the foot must be properly supported 24/7 with a custom fitted orthotic. This is truly custom orthotic that is molded to your foot while it is manipulated into its optimal position. The cast is set and sent off to have Sole Supports custom make the sole to fit your lifestyle. Depending on your type of arch, a different type of support with be needed. The difference with our orthotics versus other competitors is that the sole is NOT uncomfortable and there is no true “break-in” period. They work perfectly for you from DAY 1. These soles create a more balance arch, reduce stress on the foot, and ultimately play a large role in decreasing the pain associated with plantar fasciitis. There are a number of exercises, stretches, and therapeutic modalities that need to be administered to properly restructure the arch of the foot and balance the strength of the ankle/foot. Certain forms of our services are also very effective at decreasing inflammation. Our licensed physicians are top notch in developing a program that is tailored to you and will get you back to walking and working without any discomfort. The combination of chiropractic, orthotics, and physical therapy are the most effective for seeing quick results. Here at Health Quest Physicians Group, we offer all of these services and more under one roof. 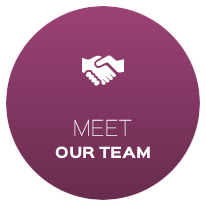 Our team of professionals works together to provide you with the quickest relief possible. If you know anyone or are affected by this condition yourself, please do not hesitate to contact our office with questions. Call us or visit our website for further information regarding the information provided on plantar fasciitis.